We’re two weeks in to the new term and the decision to operate a 3 tower rotation to ease the strain on helper numbers is proving to be a good one. We have the resources to work at full capacity throughout September. So how does it work? The flagship tower, Tower A (St Paul’s), continues to operate every week, with a combined L1 bell handling and L2 foundation skills session, making good use of the dumb bells for the bell handling. The other 3 towers, B (Handsworth), C (Harborne) and D (Edgbaston) operate a rotation system, where two out of the three towers run each week. The students from the tower not running are then invited and encouraged to be the “helpers” at St Paul’s for that week. a fairer rotation system means that students at L3 and above get an equal number of sessions per term. for the students helping at St Paul’s they get a session where they can revisit and consolidate the foundation skills, whilst getting the satisfaction that they are already sending the elevator back down to students on the ground floor. the tutors at St Paul’s get to see the progress made by the students they were teaching, who have since moved on. the students at St Paul’s get to meet and interact with other students further up the scheme, which will allow for greater peer support. with the students filling the spaces as helpers at St Paul’s, there is less strain on resources as fewer helpers are needed overall. the students at Towers B, C and D get dedicated sessions two weeks out of three, instead of every week resources permitting. The implications for the future look bright with this system. It has always been the plan that once students graduate from the School they will be encouraged to continue coming as helpers to boost the numbers of helpers. We are just getting them to do this a bit sooner. A long way in the future, the majority of the helpers and many of the tutors may well be graduates of the School. That’s the plan anyway. 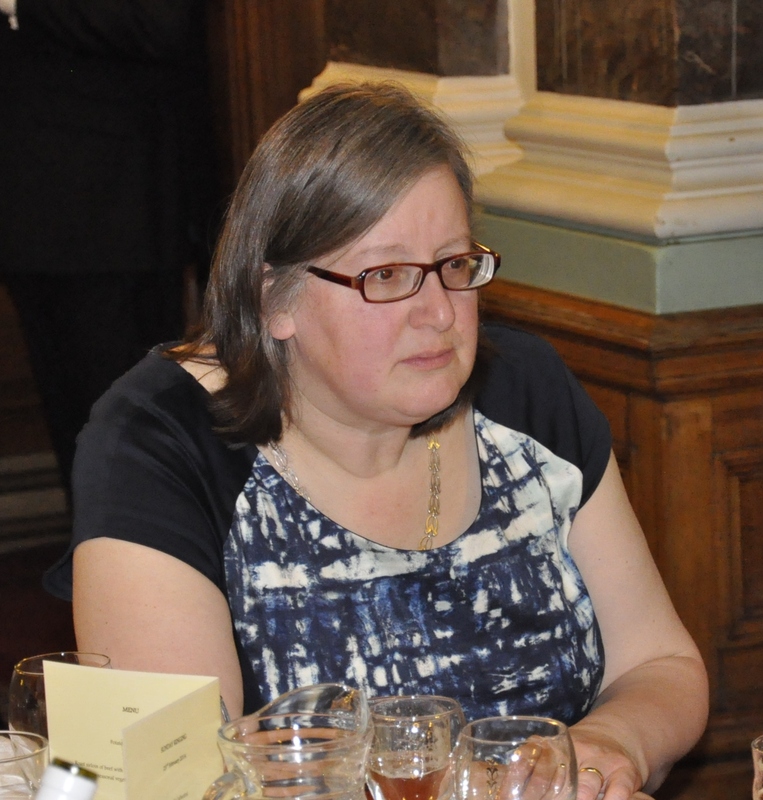 Yesterday’s St Martin’s Guild ALE (Adult Learners’ Event) was enjoyed by a number of the BSoBR Students. After School in the morning, several of the students, tutors and helpers hot-footed it over to Sheldon to join other Guild members for the first of four towers, that had been arranged by Simon, for what has become one of the most popular events on the Guild’s calendar. 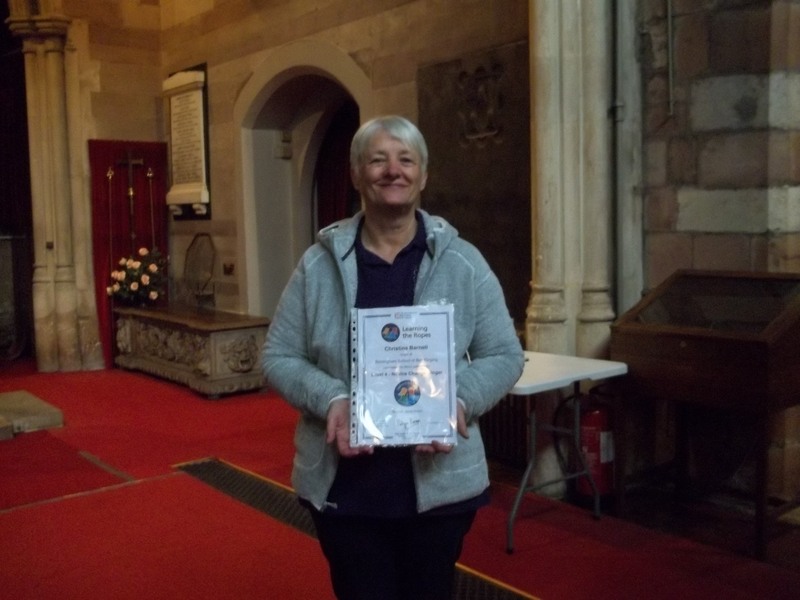 Around 18 Adult Learners benefitted from the help and support of some of the more experienced ringers in the Guild at a variety of towers South East of Birmingham. Well struck Rounds and Call Changes, Plain Hunt, and Grandsire Triples at Sheldon (8), were followed by some 12 bell ringing at Solihull (12). 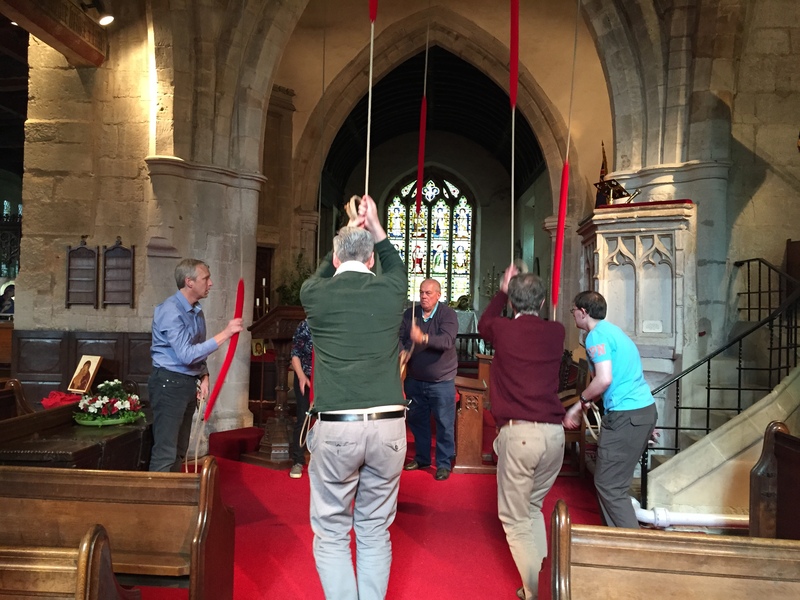 Participants got the chance to experience rounds (and call changes for some) with yet more experienced ringers drafted in for the higher numbers. Numbers topped 30 at this point in the afternoon. Out into the countryside and the challenge at Packwood (8) was the weight of the bells – 6cwt and the need to “handle with care”. The last tower of the day brought a different challenge. 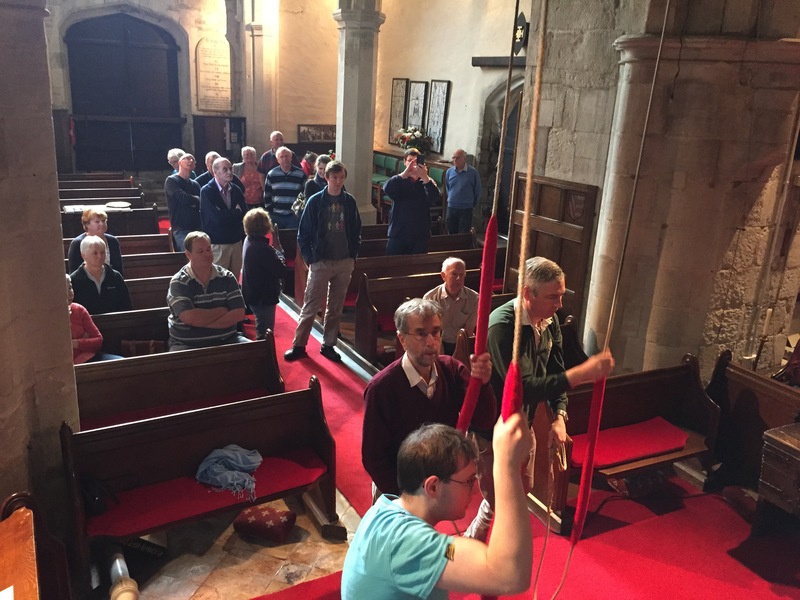 Rowington (6), rung from the chancel crossing, and a very long draught. Thanks to Simon for his excellent organisation (as usual). Put 14th November in your diaries for the next one. One of the great thing about ringing as a hobby is being able to go and ring at new towers. An outing is good way to gain experience whilst enjoying a day out in the country – or perhaps visiting an historic city. When I learnt to ring in the 70s, this involved getting hold of a copy of Dove’s Guide and an Ordnance Survey map of the area you wanted to visit in order to plan a route. Then you got the address of the local Association secretary from the Ringers’ Diary and wrote off for a copy of the local report to get the names of the tower contacts (not forgetting to include a donation towards the cost of the report). The alternative was going to the local library and looking up the names of the vicars in Crockford’s Directory. Armed with this information, you sat down to hand write letters to everyone requesting the use of their bells, and popped the letters in the post with a stamped addressed envelope. Nowadays, Dove’s Guide and the tower contact details are all accessible on line. You can use Google Maps to plan your route and request the use of bells using email. How much quicker, simpler and cheaper! Of course, things are actually not as predictable as that. Bells of the same weight but in different towers may go entirely differently. The draft may be different, the tenor weight and the number of bells will affect the speed that the bells are rung at, and the bells will most likely have different odd-struckness. However, if you don’t know where to grab hold, this information is a useful starting point. With summer holidays coming up, ringers are likely to want to try some new bells whilst they are away. Using Dove’s Guide and local association information is a good way to identify a practice night you can join in with. It is worth ringing the tower contact before you go away to make sure that the practice will be taking place. Try and turn up at the beginning of the practice and be clear about what you can and can’t ring. It is worth taking a step backwards on unfamiliar bells. So if you are learning to plain hunt, then stick with rounds and call changes in the first instance. They may ask you what you are learning, in which case you can tell them. Be aware that call changes may be called differently in other parts of the country. We practise this sometimes at Handsworth so that Level 2 students are aware of this. Don’t forget before you leave the tower to sign the visitors’ book and slip some change in the tower fund box. Congratulations to the BSoBR striking contest team. 3rd place (out of 5) in the St Martin’s Guild 6-bell Striking Contest, judged by Phil Gay. A nerve-wracking experience for some I think, but well done to Tim, Jenny and Christine for being brave enough to take part. 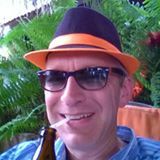 We’ll aim for more teams next year…..
Just to let you know that Sue and I have rung at Dordrecht today. Good to see our students venturing out a bit…..